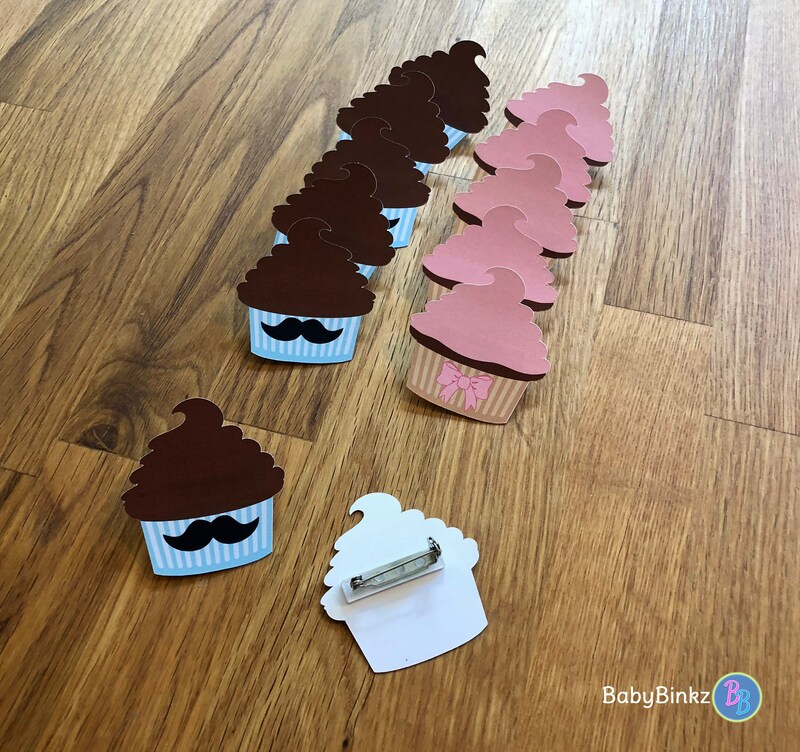 Will the baby be a "Cupcake" or a "Stud Muffin"? 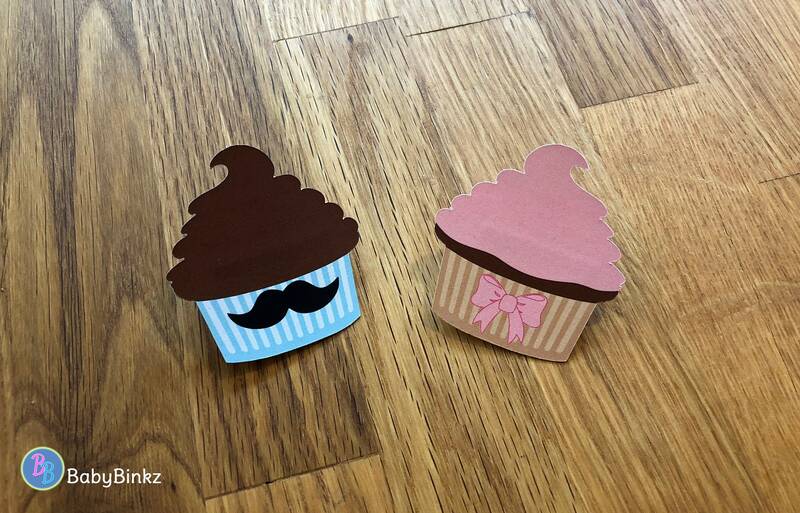 Let your guests guess by selecting a pin when they arrive! 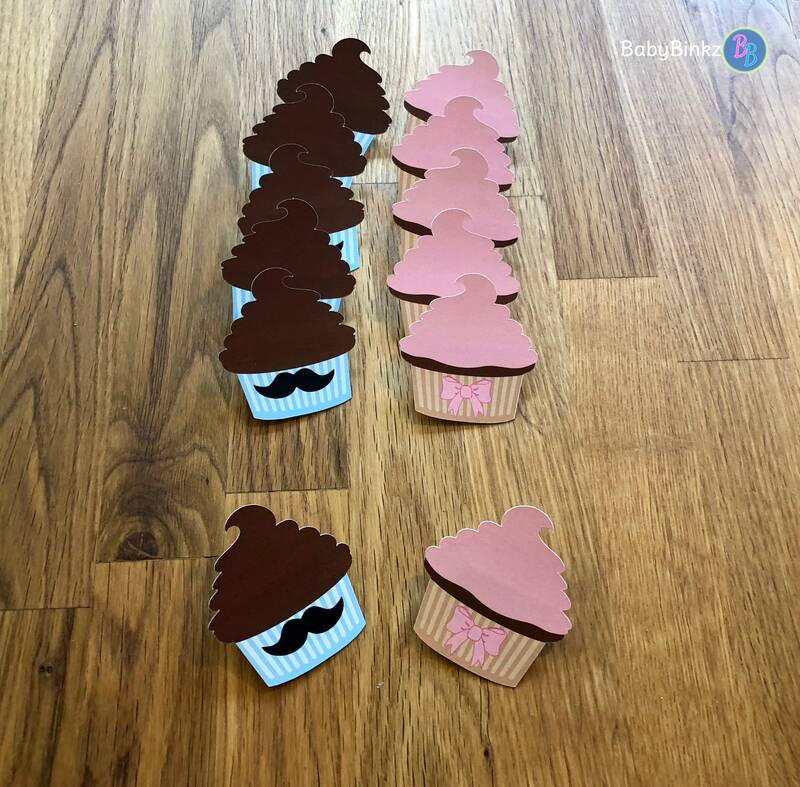 Each set includes 6 x die cut boy stud muffins with mustaches and 6 x die cut girl cupcakes with pink bows. The pins are created out of heavy weight card stock with a color laser printed image and finished with a mounted bar pin. All 12 of your pins come fully assembled & ready to use!